In winter, the winter sweet scent. 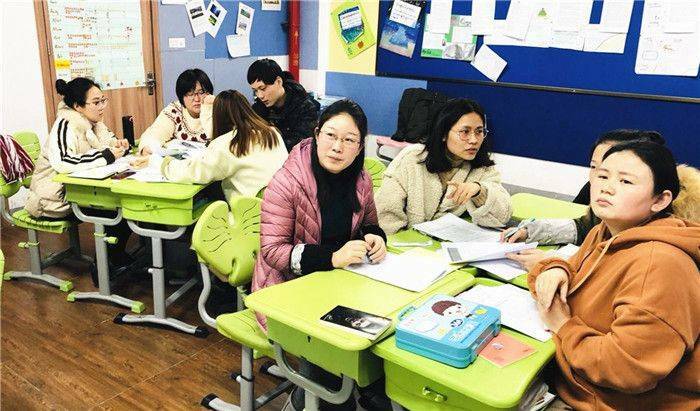 In order to improve teachers' professional knowledge, teachers from the International Curriculum Center of the Primary School of Wu Xi Foreign Language School gathered to carry out a series of professional development activities on PYP. On January 18, 2019, the new PYP teachers participated in the PYP training activities with great enthusiasm. The main content of this teacher training was to understand the development process of IB and to interpret the learner goals together. 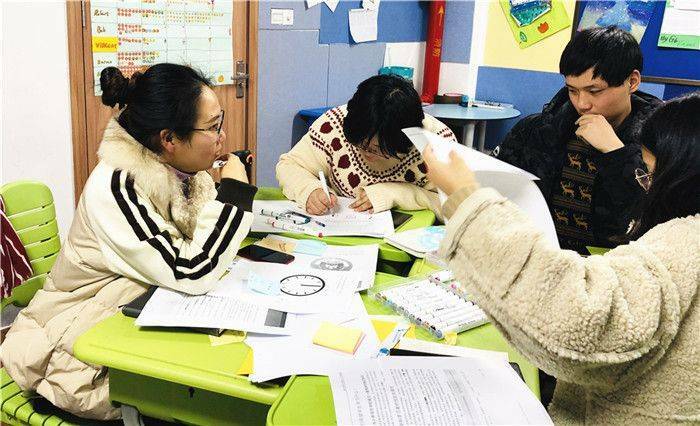 The PYP Coordinator Yixin Chen, familiarized the teachers with the process of inquiry and cooperative learning through various group activities. Through watching videos and group discussion, teachers could understand the teaching ideas that PYP wants to convey. 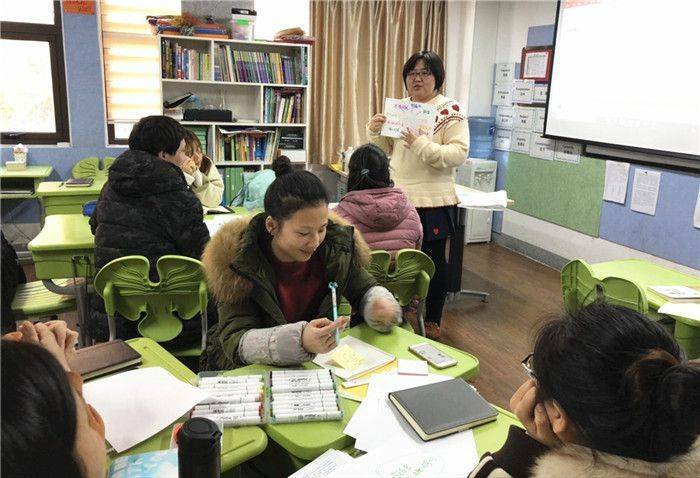 Since all the teachers present were "novices" of IB, Teacher Chen initially let teachers understand the concepts and knowledge of written curriculum. Then everyone was involved in following activities to understand the process of "inquiry" and six major subjects. 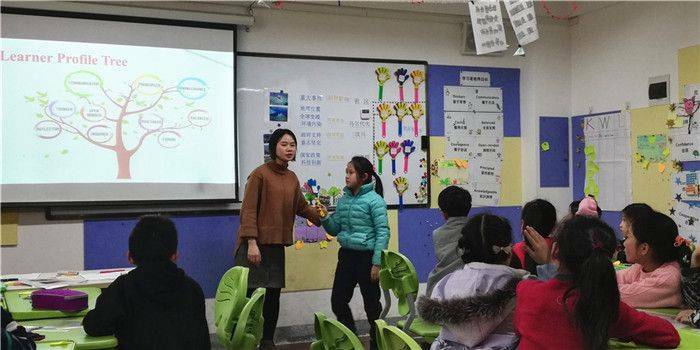 On January 22, at the end of the busy semester, Teacher Xiao Ding and Teacher Xiangli Cao presented a splendid PYP inquiry demo class for teachers in the International Curriculum Center of the Primary School of Wu Xi Foreign Language School. 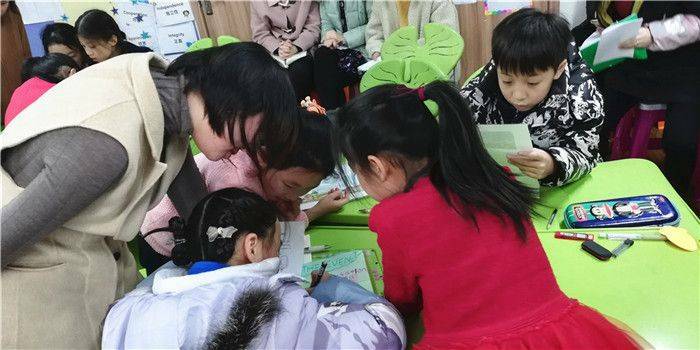 First, two teachers introduced the idea of “community has a great impact on people" with the story of "three migrations of Meng Mu", and then the concept of "community" was reviewed. In order to deepen children's understanding of "community", the teachers used Corner Game which helped children clearly distinguish what was a community. Then, the teachers used concentric circles and videos to stimulate children's questions about why the community has changed. 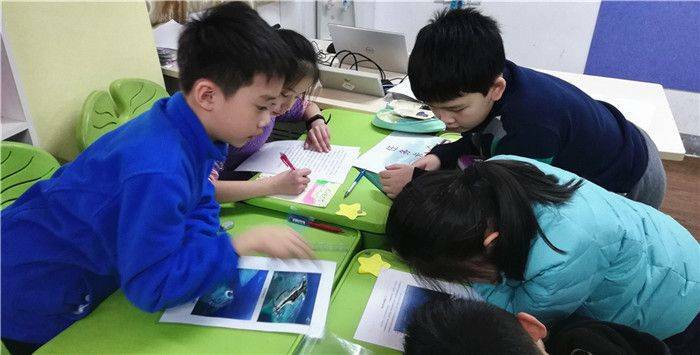 About this doubt, the children were interested in participating in the case analysis, aiming at the disappearance of Maldives, reconstruction and development after Wenchuan earthquake, and Shenzhen's past and present life. The students through reading a large number of materials, students across multiple disciplines, mobilize their own knowledge reserves in human geography, mathematics, history, politics and other aspects, explored the reasons for the changes in the community, children through the way of group division of labor and cooperation to show. Finally, in Gallery Walk's communication, the children gained a lot. Based on the goal of learner training, they gave themselves and their classmates all-round evaluation and appreciation. 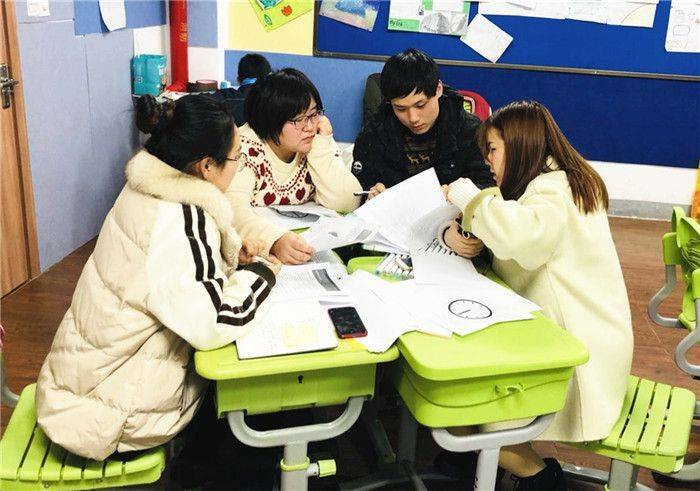 After class, the teachers actively discussed this exploratory class. Everyone put forward their own understanding of teaching content, assessment, etc. The atmosphere was warm and harmonious. 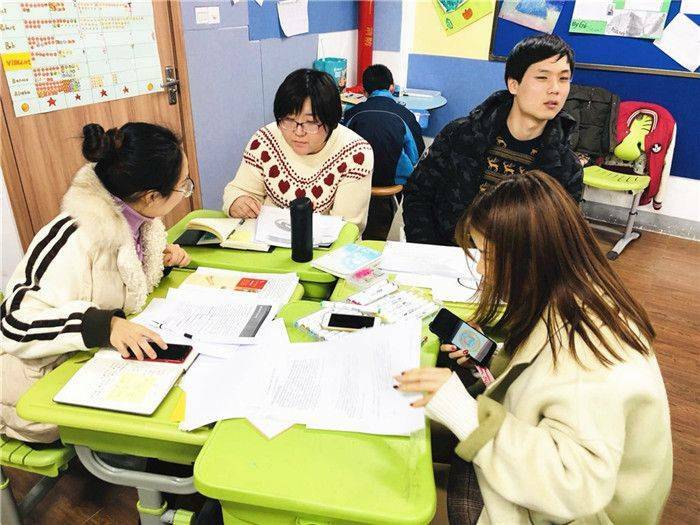 Under the collision of Chinese and Western thinking, the teachers have gained a lot and laid a foundation for the next semester's inquiry class. After the seminar, Teacher Chen Yixin conducted the second training for all the teachers. In the second training activity, the teachers could clearly understand what a complete inquiry was by watching a small video about scientific inquiry class. At the same time, through group cooperation, we had a brainstorm, thinking about the identity of future teachers, and knew what an inquiry teacher was. We also learned about the characteristics of inquiry course and how to grow into a qualified inquiry teacher. In the PYP teaching seminar series at the end of this term, every teacher listened attentively, thought positively, spoke enthusiastically, participated actively, and the learning atmosphere was very harmonious. Through this unique teaching and research activity, the teachers in the elementary school of the International Curriculum Center have a thorough understanding of PYP project, how to formulate Inquiry Curriculum plan, how to effectively carry out teaching and other issues. In addition to improving professional literacy, every teacher is more familiar with their work partners, and has a clearer understanding of the new teaching tasks and objectives in the future.